Hello! How are you all doing? 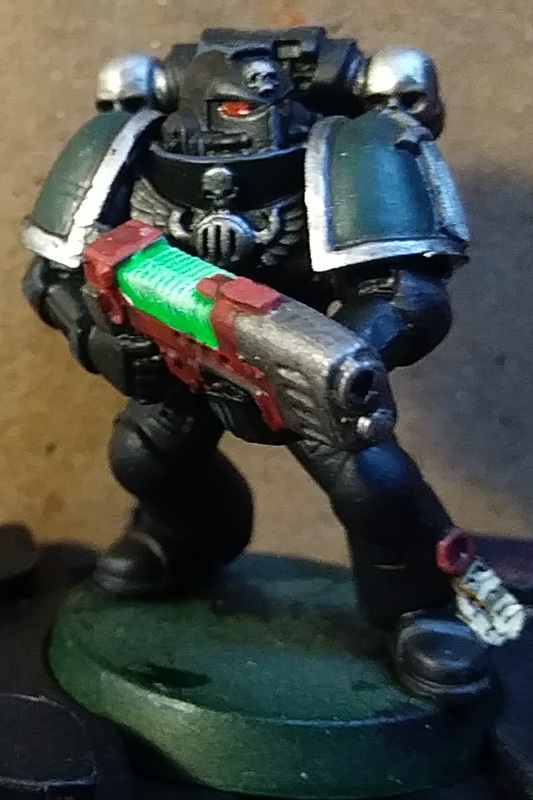 I just thought that I shouldn't ignore the Age of Darkness forums with my Dark Angels project. 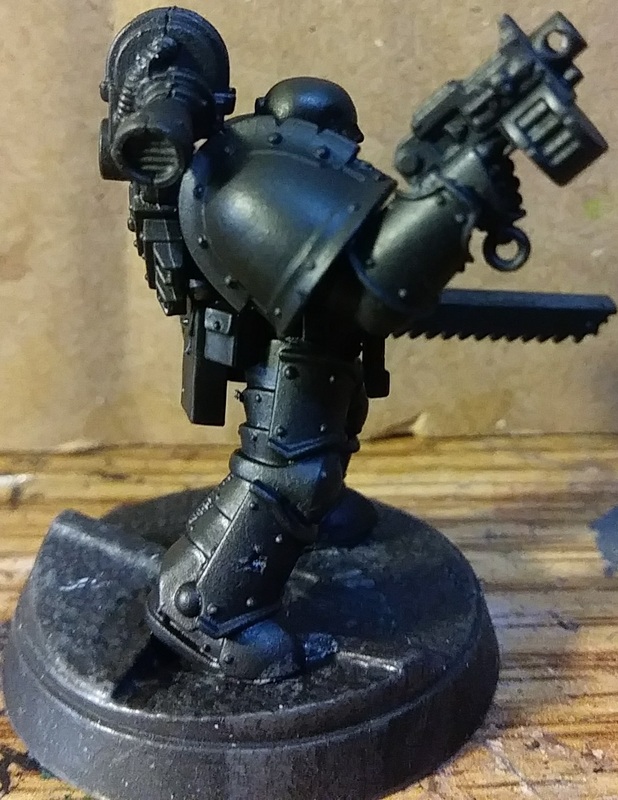 Essentially, I'm in the process of rebooting my Dark Angels to be a 30k/40k Crossover force. 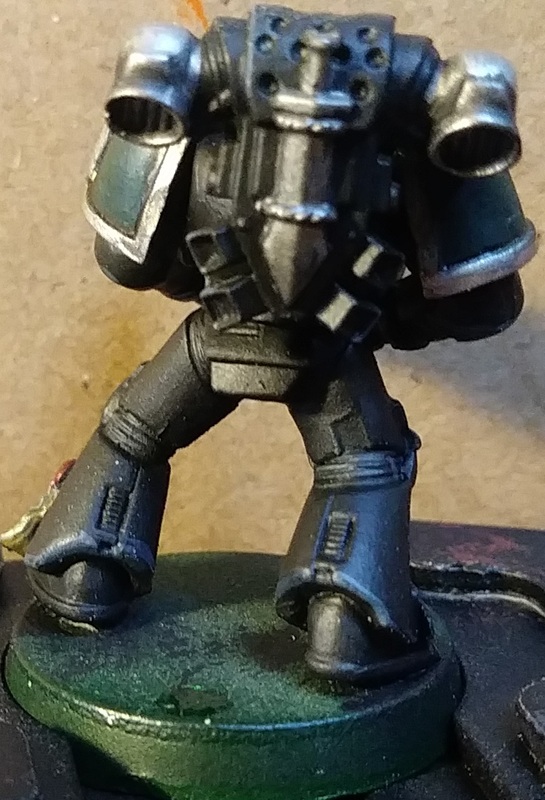 Mostly this means discussing with the owner of my FLGS today if he can Ebay list some of the [FAR TOO MANY] Dark Vengeance marines, as well as a bunch of generic Terminators I have so I can get money to get more proper kits. And here's the first of my First. 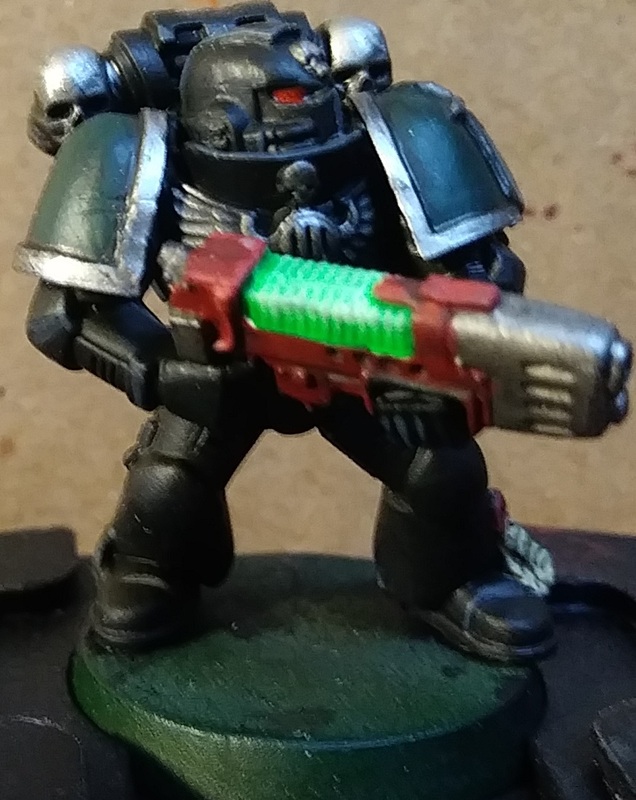 I suppose he'll be a Sergeant for a Legion Support Squad with plasma guns? 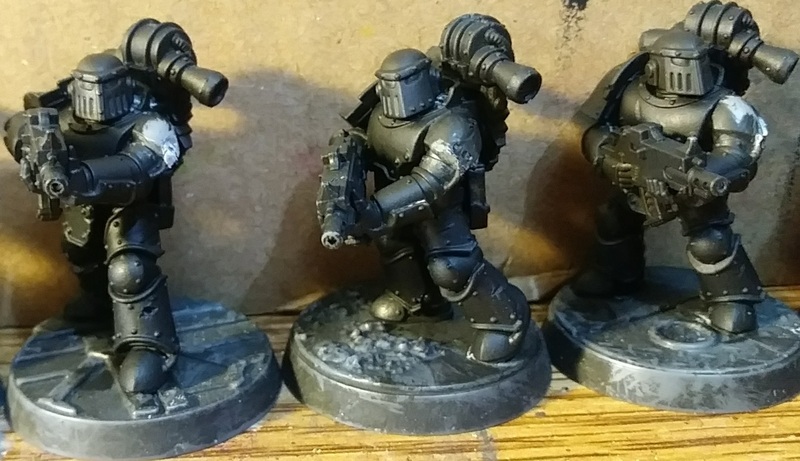 And this is where I start, some Mark III armoured Marines (assortment of a Tactical Squad, Veteran Sergeant and a Special/Heavy weapon trooper). These were a recovery operation from a friend of mine. 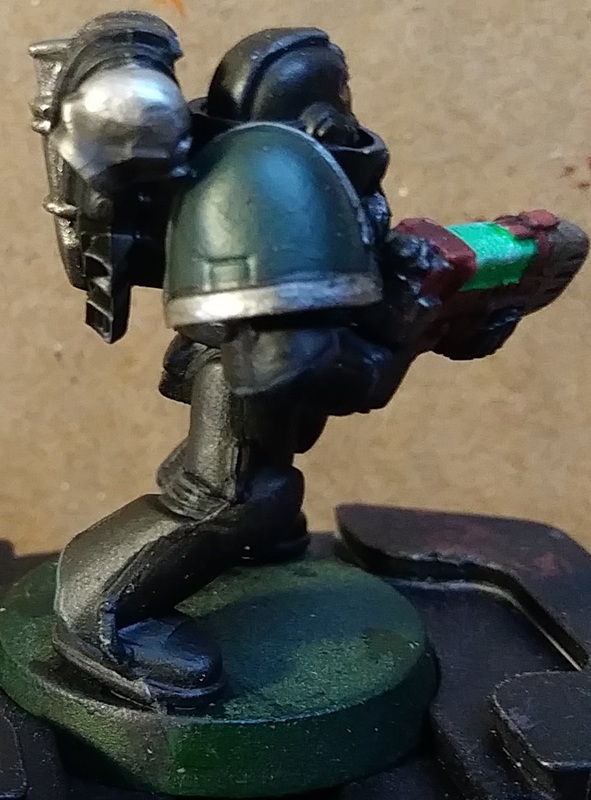 As he originally made them Heresy-Era Death Guard (hence the battle-damage), which he planned to use as Plague Marines in 40k. 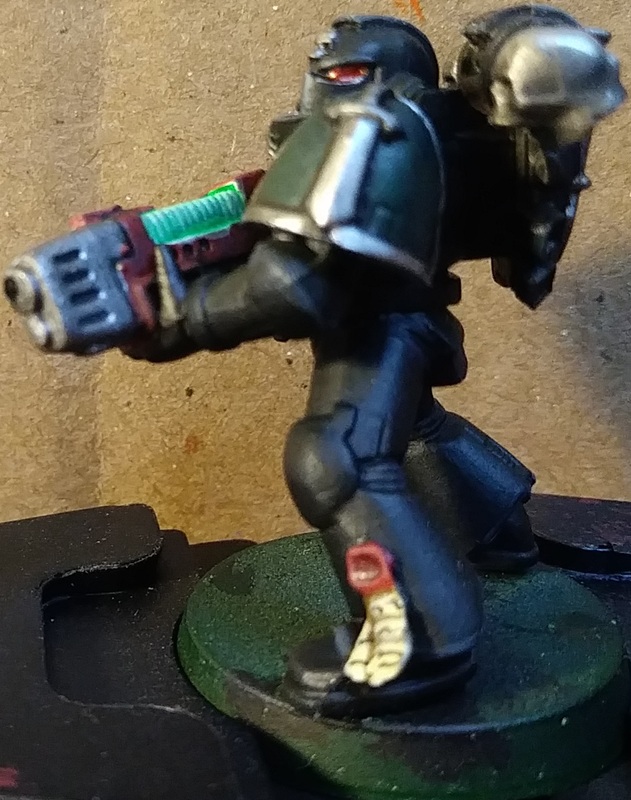 The Sergeant was the one that required the most work, as somehow the neck was completely filled in, so I used a spare of the Betrayal at Calth Cataphractii Praetor's head on him Also added one of the Ravenwing pistols, because I thought it looked good. 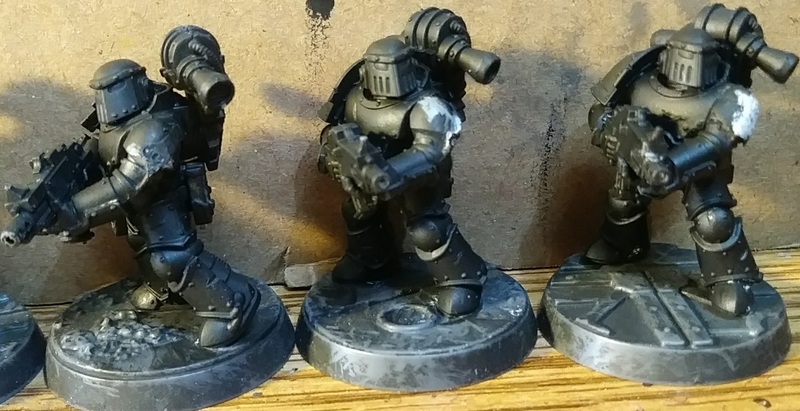 Now, I need to wait for the Forge World Mark III Dark Angels pads to come back in stock to fully finish these guys. 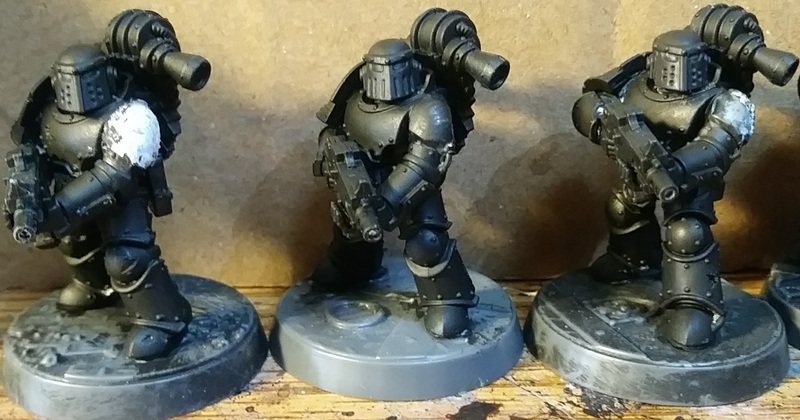 But, I'll be able to finish the rest of them without the shoulders at least. Edited by Gederas, 05 March 2019 - 12:59 AM.